All landscaping requires some maintenance to remain attractive. If your budget is small and your time is limited, however, take some time to create a plan. Note your planting zone and the amount of shade, sun, moisture and other conditions that may influence plants in each location. You can then incorporate some low-maintenance landscaping ideas for your small budget. 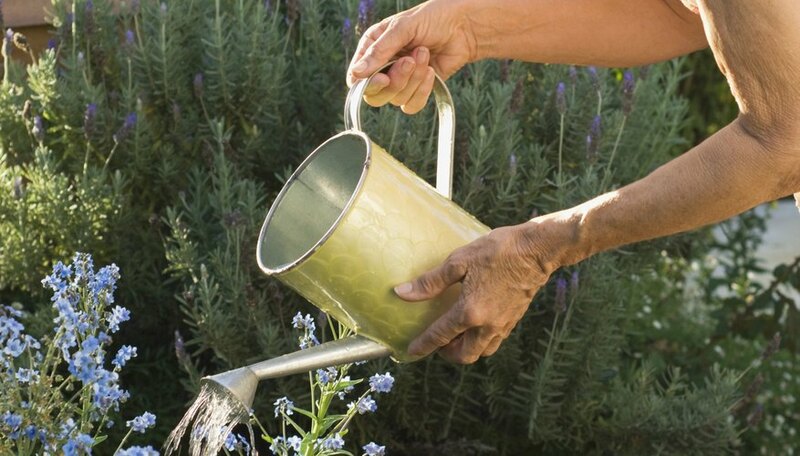 Watering and mowing a lawn is a time-consuming chore that you must repeat on a regular basis. Your lawn also requires occasional fertilizers, pesticides and weed-killers. You may want to have a very small grassy area for small children or pets. Otherwise, remove the grass entirely and try some other ideas for creating a relaxing outdoor space. Low ground cover can replace grass on large areas of the yard. Japanese pachysandra (Pachysandra terminalis) covers well in shady locations. 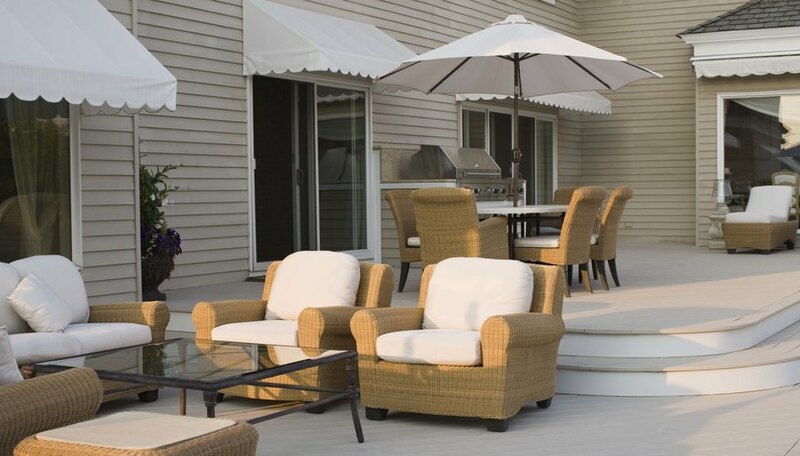 Expensive wooden decks require painting and maintenance periodically; however, you can create ground-level patio areas with slate or stone. You may be able to obtain the materials free from a stream or quarry. Once installed, these stones only need to be hosed off occasionally to keep them clean and attractive. Stone walkways can wind between planting areas and widen out to create seating areas. Fences are expensive, and lumber fences require periodic painting or staining. 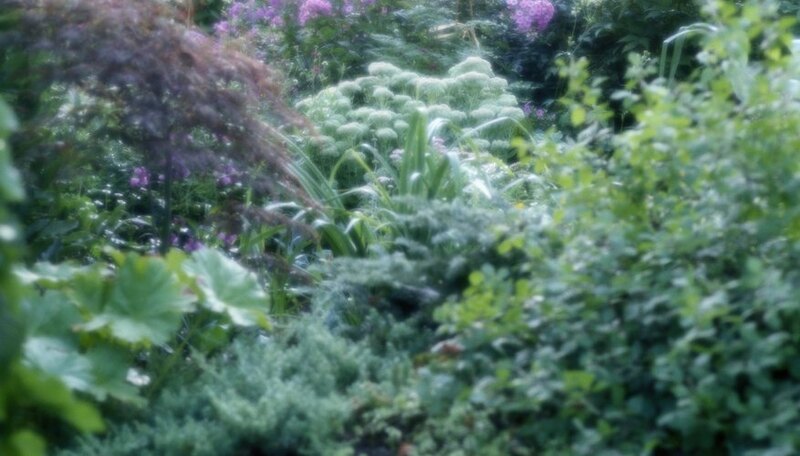 Instead, plant shrubs that grow into hedges for privacy screens or borders. 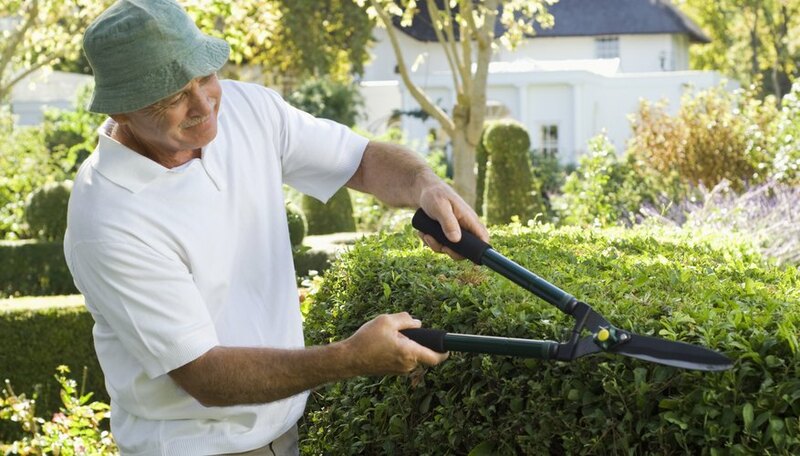 Some shrubs need constant pruning. Instead, plant tallhedge (Rhamnus frangula). This dense shrub will quickly grow to 12 feet tall and form a dense wall of green glossy leaves. It needs full or partial sun and well-drained soil. 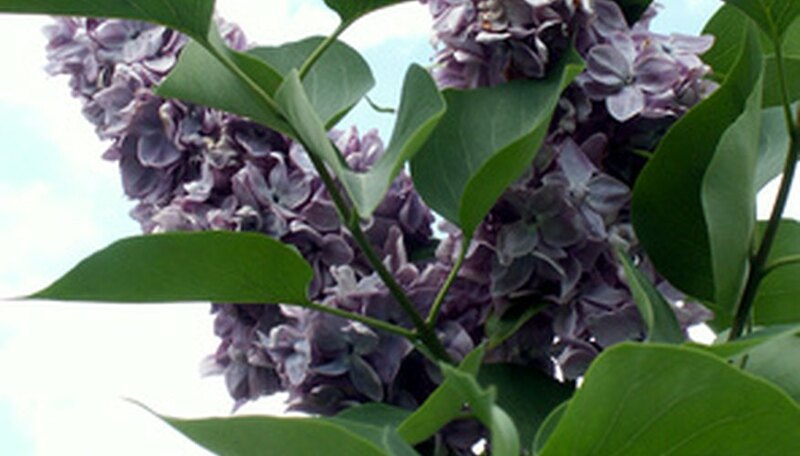 For spring flowers, plant common lilacs (Syringa vulgaris). Lilacs grow a little more slowly, to 15 feet tall. In May, it produces fragrant lavender-colored blooms. It needs full sun and well-drained soil. Mulch helps reduce moisture loss and erosion. It will also prevent many weeds from germinating. 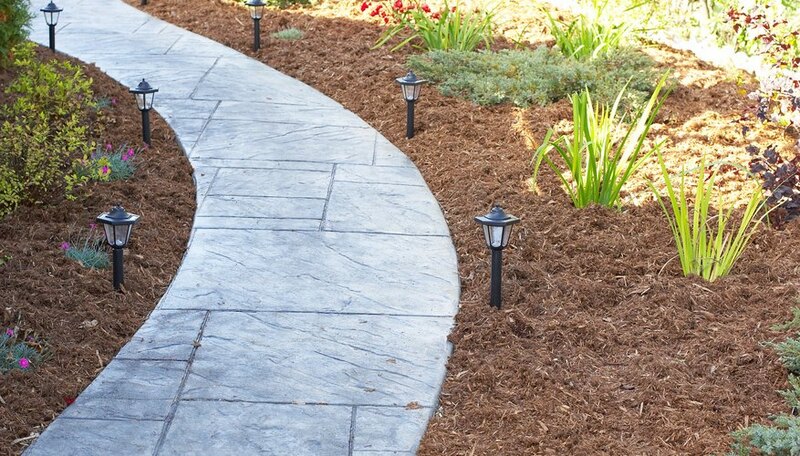 Place mulch around the bases of trees and shrubs and add it to flower beds. Wood chips, bark and sawdust are cheap. Plastic is also cheap and appropriate in some areas. Stone is more expensive initially but once down, will need little maintenance. Landscape with native plants. They are well adapted to local growing conditions and can resist insects and disease. Plant trees that grow quickly and provide the necessary shade in your landscape. Choose those needing little maintenance. Evergreens do not lose their leaves in winter. Deciduous trees drop leaves in the fall that you have to rake up. Use spreading or ground cover plants in your garden for another layer of protection against weeds. Plant perennials in flowerbeds and borders. Most need very little maintenance if mulched when planted. For accents, add small shrubs like the Oregon boxwood or ornamental grasses like Maiden grass.